photo-eye Gallery Opening October 30th: EDWARD RANNEY - TWO LANDSCAPES: ENGLAND & PERU photo-eye Gallery is proud to announce a new exhibition of black-and-white photographs by Edward Ranney, entitled Two Landscapes: England and Peru, showcasing two bodies of work produced by Ranney between 1980 and 2009. The opening, artist reception, and book signing will take place on Friday October 30th from 5–7 pm. photo-eye Gallery is proud to announce a new exhibition of black-and-white photographs by Edward Ranney, entitled Two Landscapes: England and Peru, showcasing two bodies of work produced by Ranney between 1980 and 2009. The opening, artist reception, and book signing will take place on Friday October 30th from 5–7 pm. The exhibition continues through December 5th, 2015. 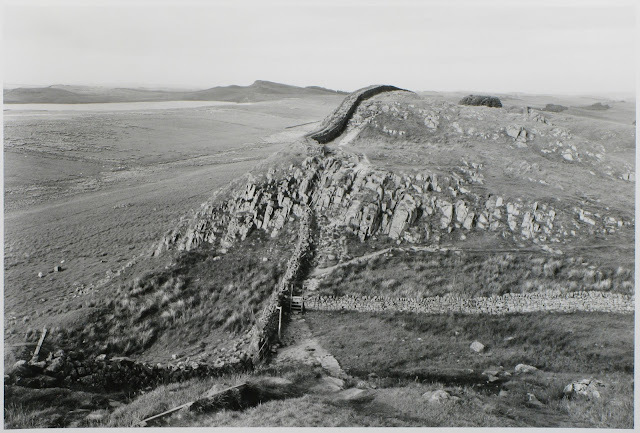 In 1980 Edward Ranney was awarded a grant from The Northern Arts Council of Great Britain to photograph throughout Cumbria, in Northern England, and to exhibit a selection of the resulting work at the Carlisle Museum and Art Gallery. The work extended into 1981, and the exhibition took place in 1982. This selection of photographs favors views of the open spaces of the hills, or fells, of Cumbria and Northumberland including Hadrian’s Wall, the fortified earthwork delimiting the northernmost Roman occupation of the British Isles. 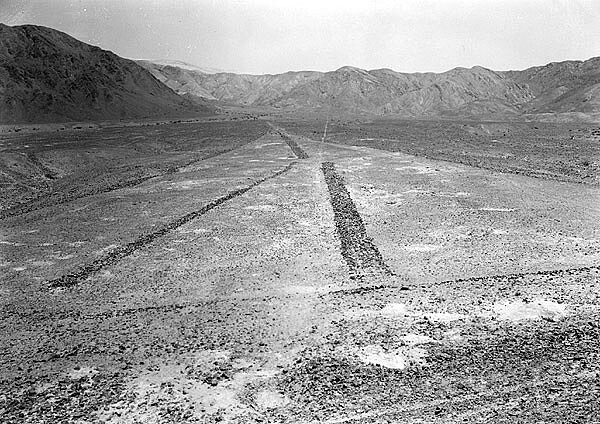 The Andean coastal desert of southern Peru is particularly known for the geoglyphs created by the Nazca culture around 500 AD. The pictures shown in this exhibit are selected from The Lines, the monograph published by the Yale University Art Gallery in 2014. In contrast to the aerial viewpoint favored by contemporary photographers in the depicting these glyphs, Ranney’s photographs, made between 1985 and 2009, were made on ground level using a 5x7 large format camera. The physical contact with the desert spaces transformed by Nazca cultural traditions gives us an immediate sense of the challenging natural world in which the Nazca flourished. More importantly, when viewed from the ground, the glyphs – or lines – transform a harsh environment into an understandable, even intimate, cultural space. Born in 1942, educated at Yale University, internationally recognized landscape photographer Edward Ranney is the recipient of numerous awards and grants including NEA grants (1974 and 1982), a Guggenheim Memorial Fellowship (1977), and Fulbright Fellowships (1964 and 1993). His work is represented in public and private collections alike including The Museum of Modern Art, New York and San Francisco, The New Mexico Museum of Art Santa Fe, The Princeton University Art Museum, the Victoria and Albert Museum, London, and The Art Institute of Chicago. His photographic monographs include Stonework of the Maya, Monuments of the Incas, Heights of Machu Picchu, Prairie Passage, and most recently The Lines published by Yale University Press. Ranney has lived and worked in Santa Fe since 1970.